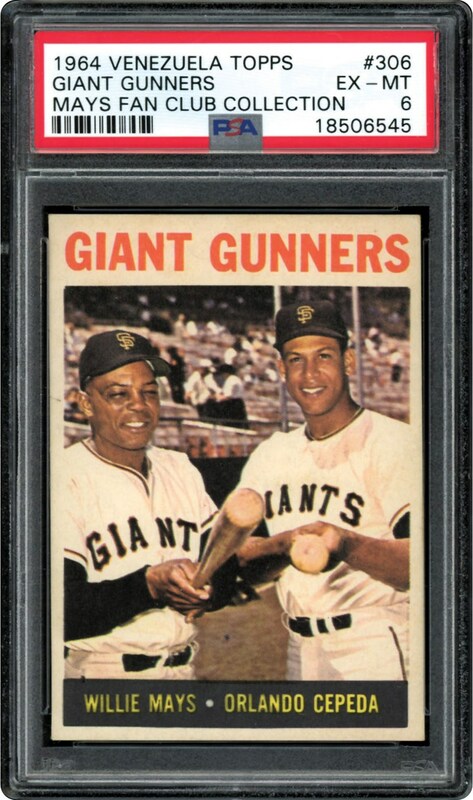 Mays and Cepeda together on this Giant Gunner card from 1964. Issued in Venezuela, this series had tremendous condition issues. 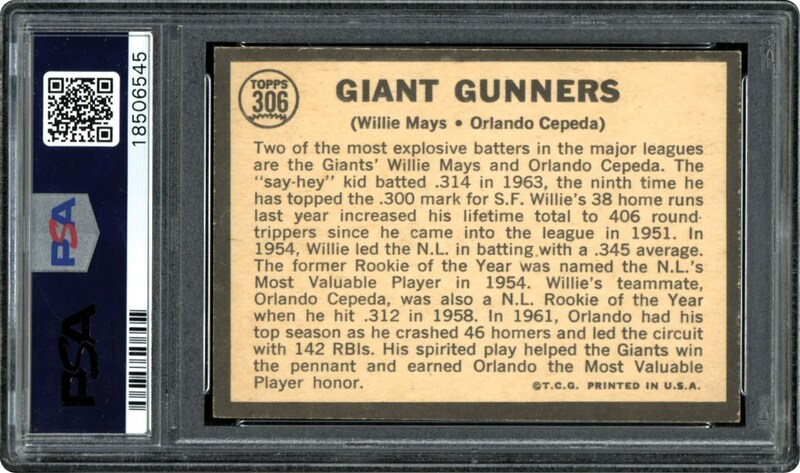 This one is offered in a PSA 6 EX-MT holder an is one of two in the highest grade.